Again, I'm about a month late buying my Joann's Spring/Summer coupons. It was a decent cooler day yesterday so I ventured out to Joanns for some batting for my Pink Quilts. I found my favorite FAll / Winter 2012 Fashion Fusion magazine. My shop places it on top of the pattern cabinets. I buy it just for the coupons on the back. You get two 50% off and 4 40% off coupons. 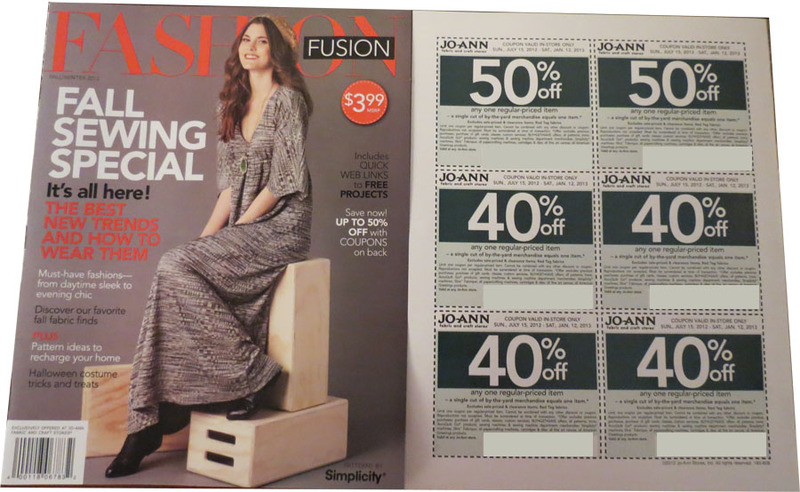 I think it's getting harder to find items not on sale at Joann's to be able to use the coupons. I find myself running around trying to find something not on sale because "I got a coupon I need to use :-)" Plus, this version is now $1 more at $3.99 a magazine. Bummer on the price but when I got them, the fabric was not on sale so I already used one of my 50% off coupons, These are good until January 2013. Wow, I love the 6 months of savings! As I mentioned before, I use these at Michael's and other craft shops too! They are great to put in your purse and have handy at all times. 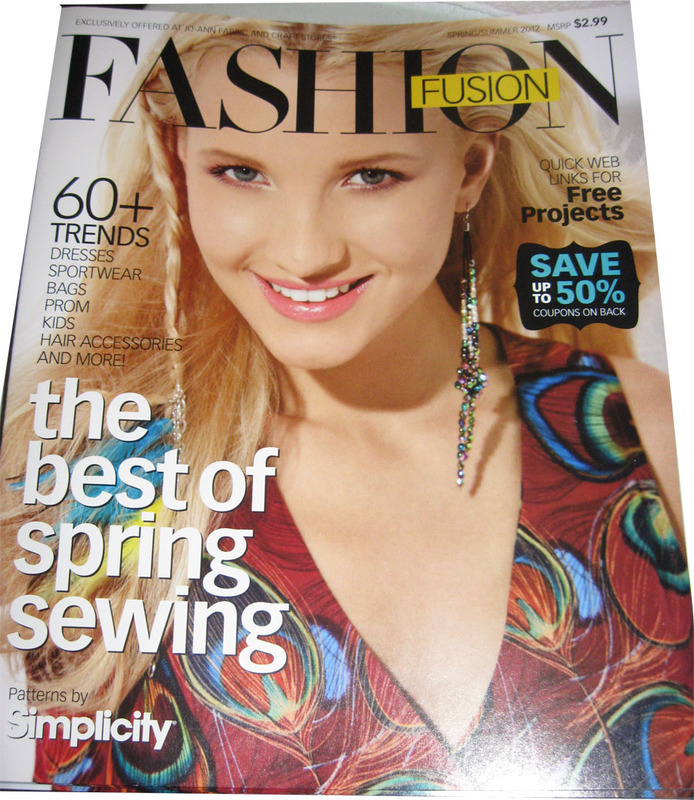 The Fashion Fusion magazines are $3.99 each and the coupons are good from 7/12-1/13! The downside are the exclusions printed on the coupons: Can not be used on sale items and can not be used on: "Accuquilt Go products, Provo Craft electronic machines, Cricut cartridges, Slice machine and cartridges, sewing machines and sewing machine department merchandise amount other smaller items. I've used them on expensive markers at Michael's etc. Be creative.